It is impossible to get this password back. And can tweak your security by checking those basics, by making your security tight. O aplicativo oferece suporte a dois tipos de teste:- Dicionário de teste - ele tenta senhas a partir de lista predefinida, um por um. But, you will have to follow the right process of cracking an internet connection password. It is impossible to get this password back. Se você estiver testando anteriormente guardados de rede, em seguida, a senha será perdido. You might get the installation error, as you did not have changed the security setting. Permite el uso de PowerManager WakeLocks para mantener el procesador de dormir o de la pantalla de la atenuación. You should tap on your setting, the security setting, now, see the unknown sources and check it on. Utilice esta aplicación sólo en sus propias redes! They contains a list of most commonly used passwords. It can harm the performance of it, and there are possibilities, this app does not hack a network. Please don't be disenchanted if the password won't be discovered, it merely signifies that it was not within the dictionary. Esta versão suporta a importação de seus próprios dicionários, para que já não estão limitados pelos dicionários pré-instalados! If you do not know how to use the application, walk with us. Just tap on the download button, and you will get the app on your phone. You can import your own dictionary in txt format, one password per line. This App isn't fake and it's working perfectly. Most of the users do not think this application is genuine. This version supports importing of your own dictionaries, so you are no longer limited by pre-installed dictionaries! O aplicativo vai tentar todas as senhas como hacker00, hacker01 através hacker99! Allows applications to open network sockets. Therefore the app supports custom alphabet and custom mask. Allows applications to open network sockets. So, you should stay calm, and hold your patience. In the future versions I will add more dictionaries and maybe also possibility to use your own dictionary. Wait for some time, it will display the password if it is in the wordlists. O Cache é um pacote de arquivos adicional, que geralmente acompanha o arquivo. It may take looooong time due to device strength. As you probably are aware, a hacking and brute force attacking happening all around, the ransomware assault, as of late get the consideration of the huge enterprises, you should also know about such attack. Yes, you can crack wifi password in your phone. I have a tech blog too, but this one is my favourite, because I really, really like to talk about hacking and security. Allows applications to access information about Wi-Fi networks. In the next step, the application will ask you which key combination you want to make using brute force to get the key to the network. O programa irá passar automaticamente sem a realização de testes. Si está probando la red previamente guardado a continuación, la contraseña se perderán. É assim que você permite instalar aplicativos não apenas do Play Market. The app will try all passwords like hacker00, hacker01 through hacker99! They store data that is not stored in the packet encrypted format, plus applications, including graphics and multimedia files. You can go for one option in one time, and the application will use the combination of the keys. A aplicação suporta dois tipos de teste: Dictionary - ele tenta senhas de lista predefinida, um por um. Install it, and find the loopholes in your security. There is 3 predefined wordlist which you can use. 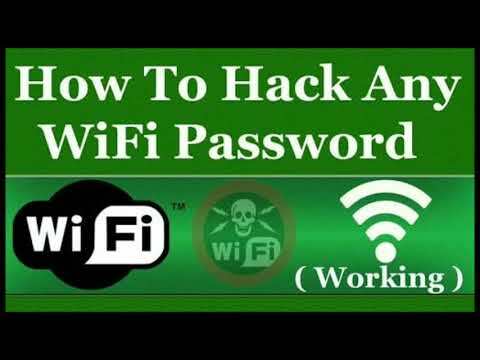 Permite que os aplicativos e o acesso a informações sobre redes Wi-Fi. Há três predefinidos wordlist que você pode usar. The process is very slow due to nature of the WiFi connection handling in Android, so be prepared that it can take a loooooooong time. Any wrong use of the app make it illegal, and you solely be responsible for that. If not, then it shows the error option. Find out how to set up? Over 11,258 users rating a average 4. If someone could get enter into your network, and control all the traffic, he can reveal your privacy. I would like to see you try to create a better one I started this blog to share my passion with the world. Although, every technology can be used for ethical as well as unethical purposes so it is up to the users, whether they get good benefits from the app or they want to use it against others. On download page, the download will be start automatically. You need to save the file in accordance with the place where the tip is kept. Its an worth app to try let me know what are your views share though comment section it is special designed for you. O aplicativo vai tentar todas as senhas como hacker00, hacker01 através hacker99! Note: Please don't ask me to hack Facebook, gmail or any accounts for you. Bruteforce check - you'll be able to choose alphabet, lenght of password and the app will attempt all mixtures of characters within the alphabet.